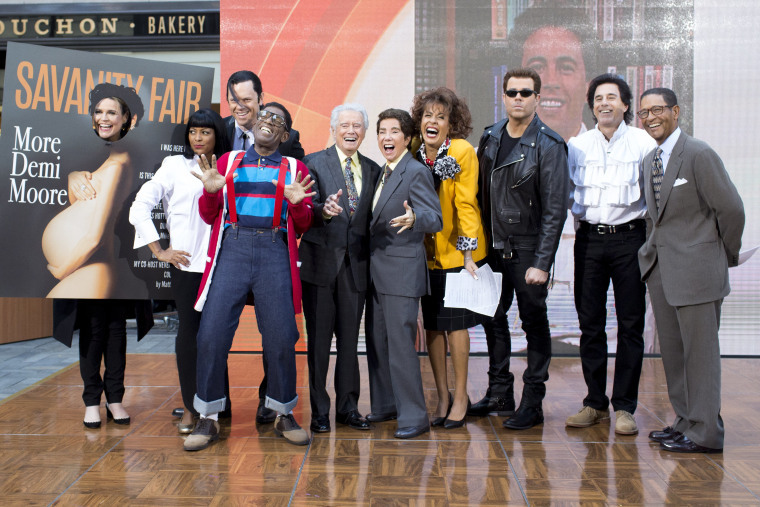 The TODAY anchors have created some memorable costumes and themes over the past two decades. Check out some of the highlights. Bang. Zoom! 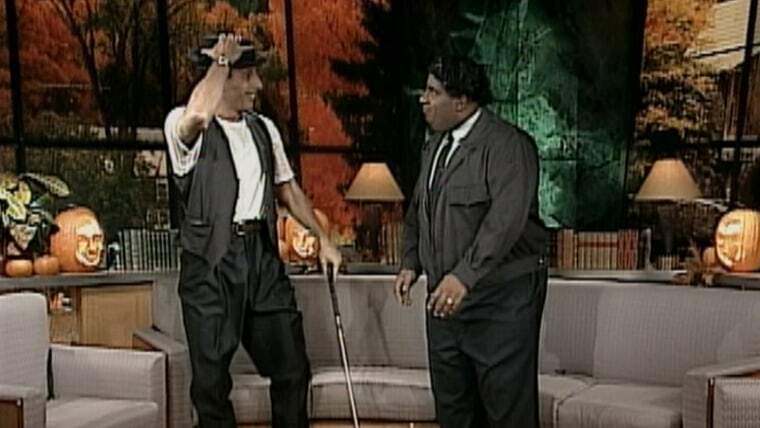 In 1996, Matt Lauer dressed like Ed Norton and Al Roker went as Ralph Kramden from "The Honeymooners." TODAY's first Halloween was two years earlier, in 1994 — flashback to that celebration and see the costumes here. Flintstones, meet the Flintstones! Matt Lauer played Fred from the modern stone age family. Al Roker played his sidekick Barney. Katie Couric was actress Mae West and Ann Curry was Cleopatra. 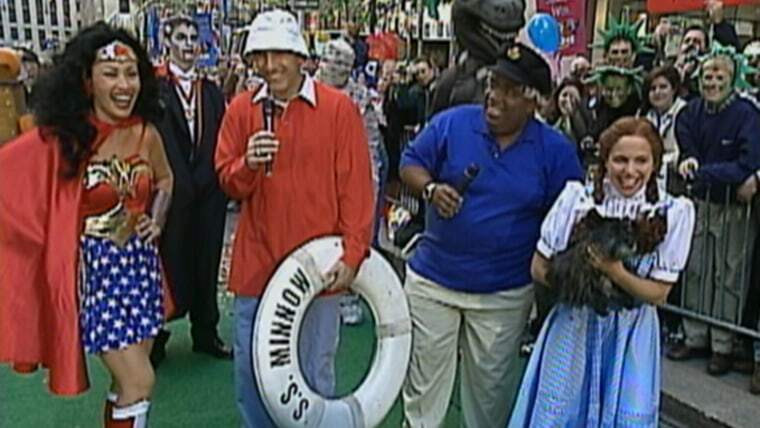 Matt Lauer was Gilligan and Al Roker was The Skipper from the TV show "Gilligan's Island." Ann Curry played Wonder Woman and Katie Couric was Dorothy from "The Wizard of Oz." Yeah, baby, yeah! Matt and Al dressed up as Austin Powers and Dr. Evil, while Ann and Katie were Pocahontas and Peter Pan. Matt Lauer dressed as pop sensation Jennifer Lopez and Al Roker as Sean "Puffy" Combs. In the book "From Yesterday to Today: Six Decades of America's Favorite Morning Show," Matt recalled: "It was a little risky for me as the kind of new guy, trying to create news chops, walking out in this plunging neckline and mini dress. But it was fun." Hear Matt talk about his greatest TODAY Halloween costumes. 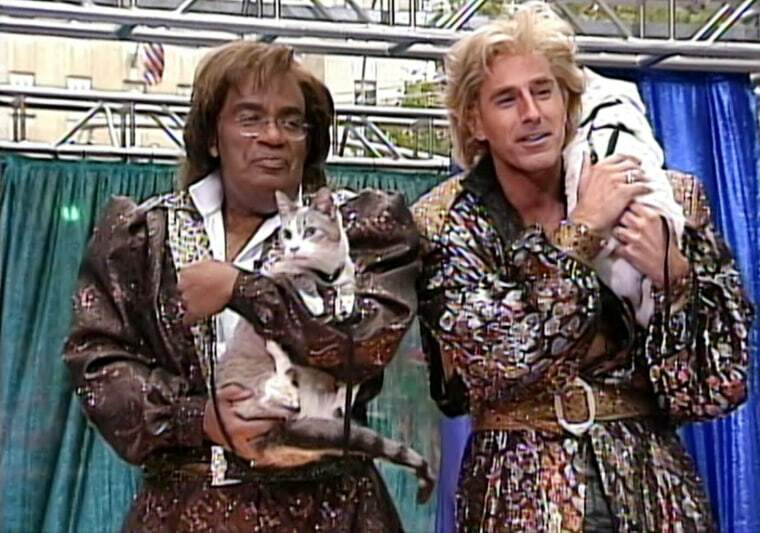 Matt and Al as animal tamers Siegfried and Roy. 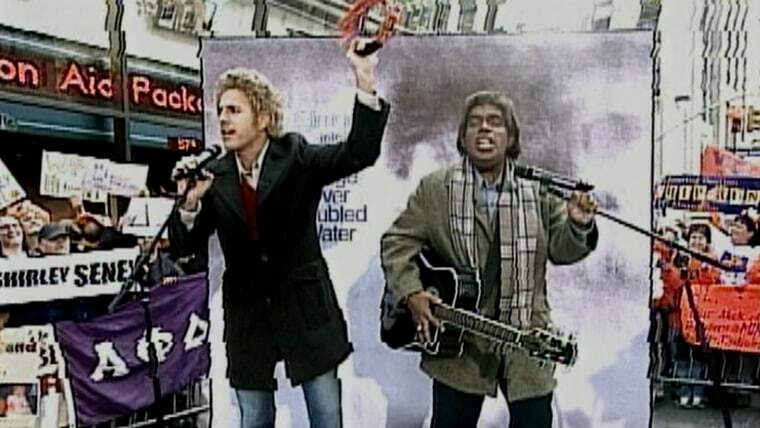 Matt Lauer and Al Roker as the music duo Simon and Garfunkel in front of a giant reproduction of the "Bridge Over Troubled Waters" album cover. 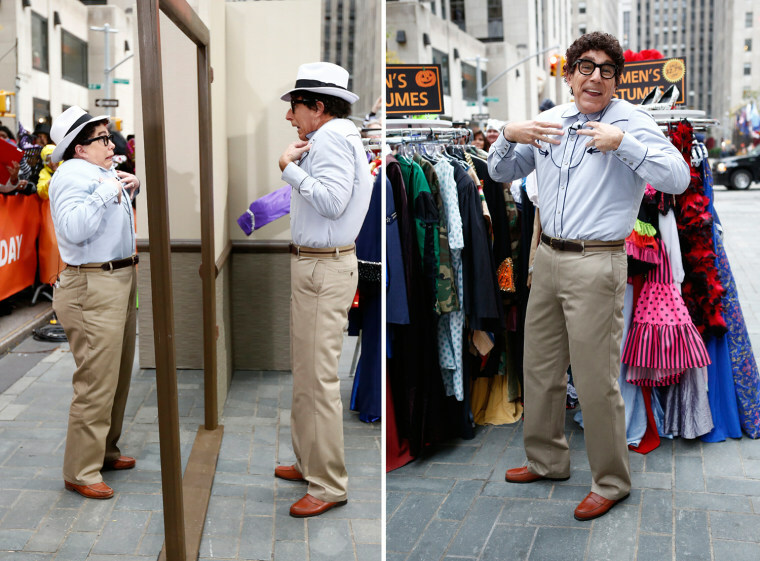 See some of Matt Lauer and Al Roker’s greatest Halloween outfits here. Katie Couric as Donald Trump, who joined to give his signature "You're Fired" exclamation from "The Apprentice." 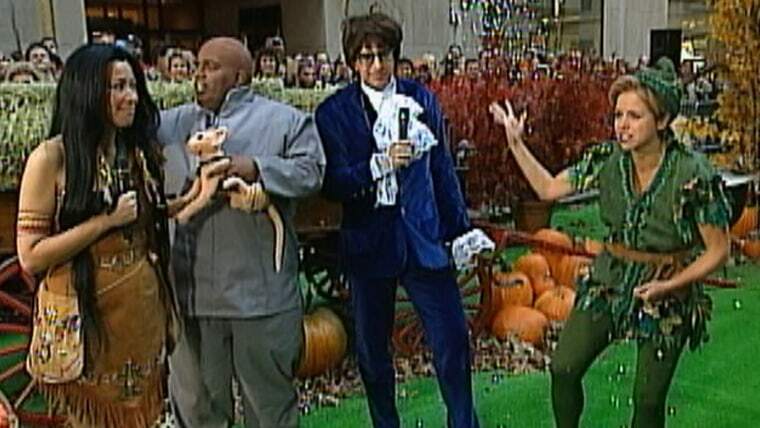 Al Roker as Oprah Winfrey and Matt Lauer as Paris Hilton. In the book "From Yesterday to Today: Six Decades of America's Favorite Morning Show," Roker said, "I looked like Isabel Sanford, who was Weezy on 'The Jeffersons'...I didn't look like Oprah. It's amazing that whenever she sees me she says hello." Holy rappelling heroes! 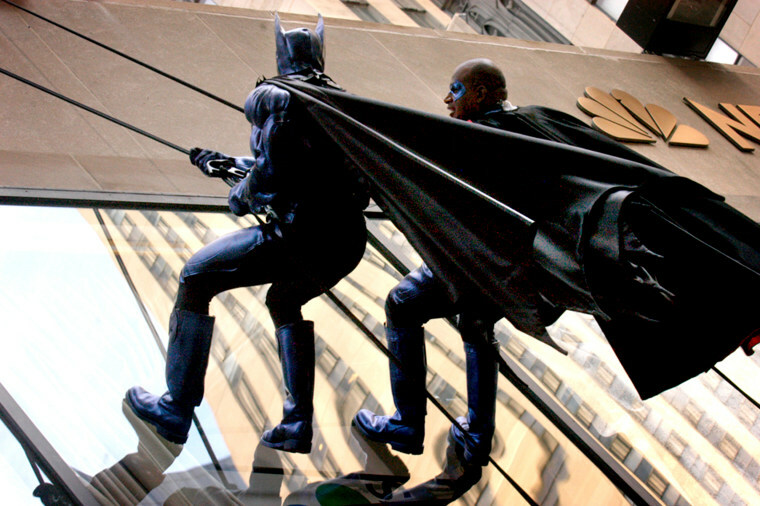 Matt Lauer and Al Roker make their grand entrance on Rockefeller Plaza as Batman and Robin. It was pirates and divas in 2006. Matt Lauer as Captain Jack Sparrow and Al Roker as Davy Jones from "Pirates of the Caribbean." 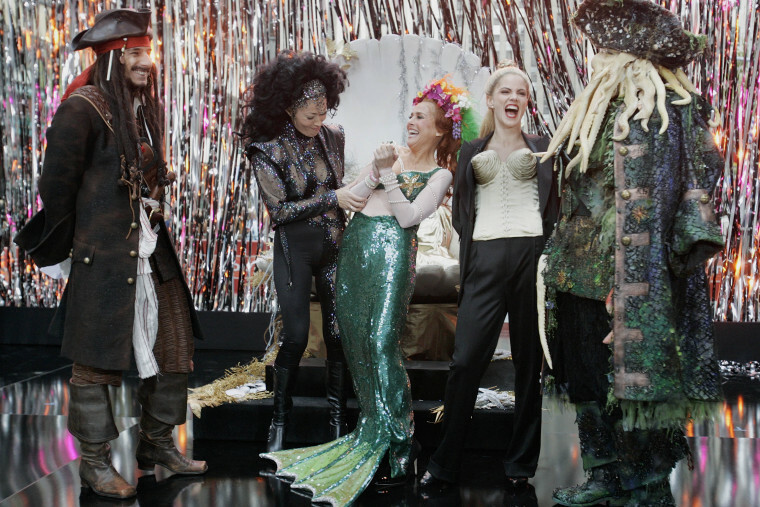 Ann Curry as Cher, Meredith Vieira as Bette Midler, and Natalie Morales as Madonna. Al Roker as Davy Jones. TODAY celebrated with a monster bash in 2007. 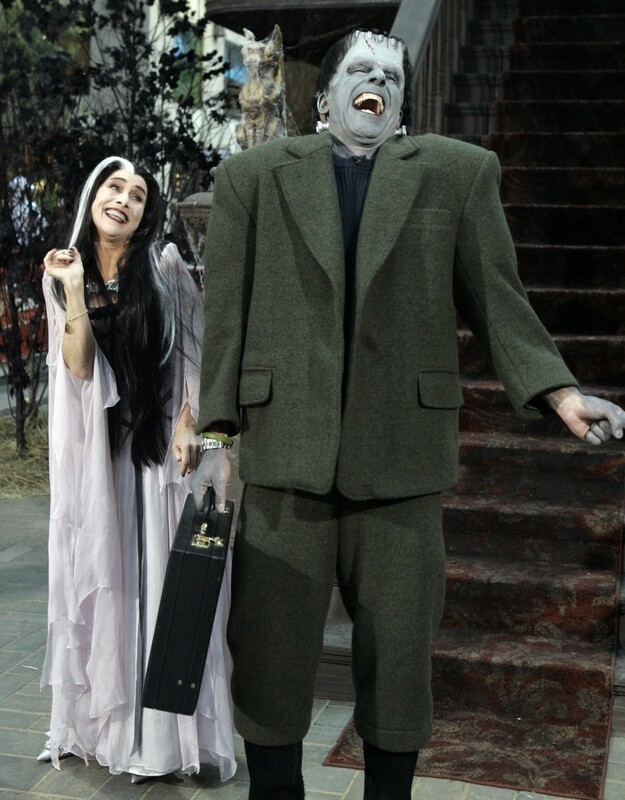 The TODAY hosts and correspondents dressed up as the main characters from the classic TV sitcom "The Munsters," with Meredith as Lily, Matt as Herman, Al as Grandpa, Hoda as Marilyn, Natalie as Eddie and Tiki as the family's favorite dragon, Spot. Matt aces Herman Munster's laugh. 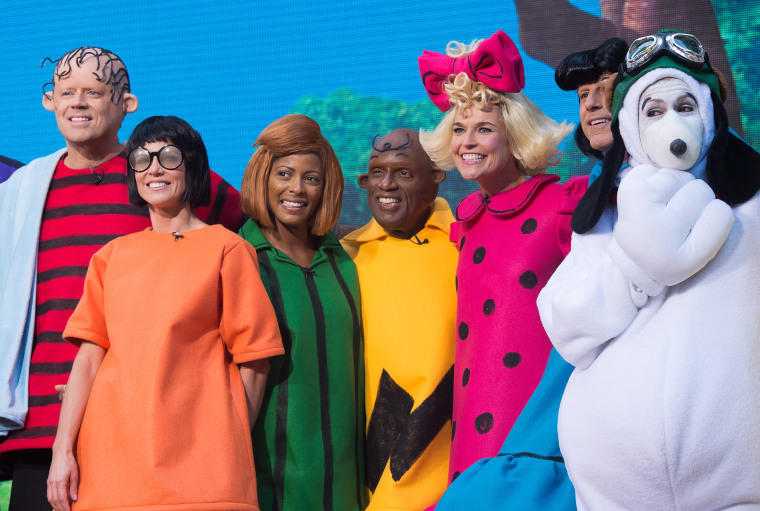 The TODAY show group dressed up as some favorite children's book characters. 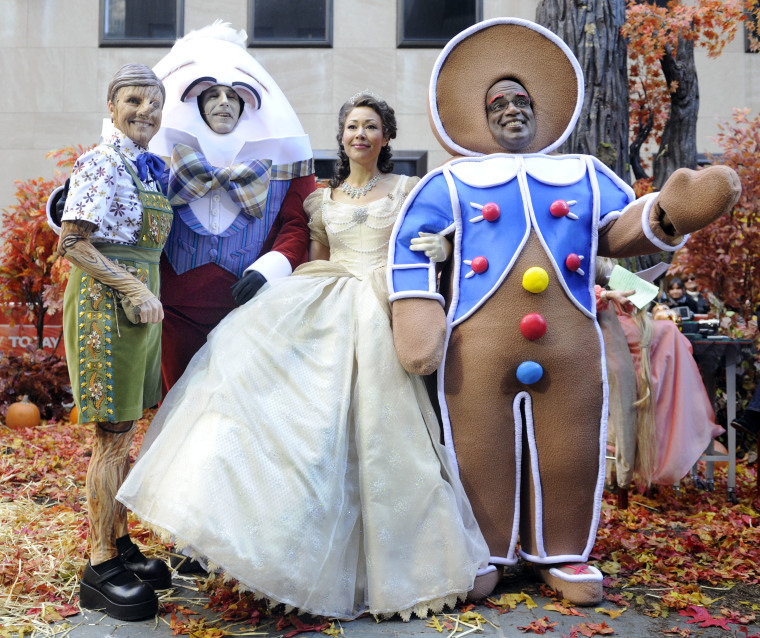 Ann Curry as Cinderella, Al Roker as the Gingerbread Man, Meredith Vieira as Pinocchio, Matt Lauer as Humpty Dumpty, Hoda Kotb as Little Red Riding Hood, Kathie Lee Gifford as the Big Bad Wolf and Amy Robach as Rapunzel. 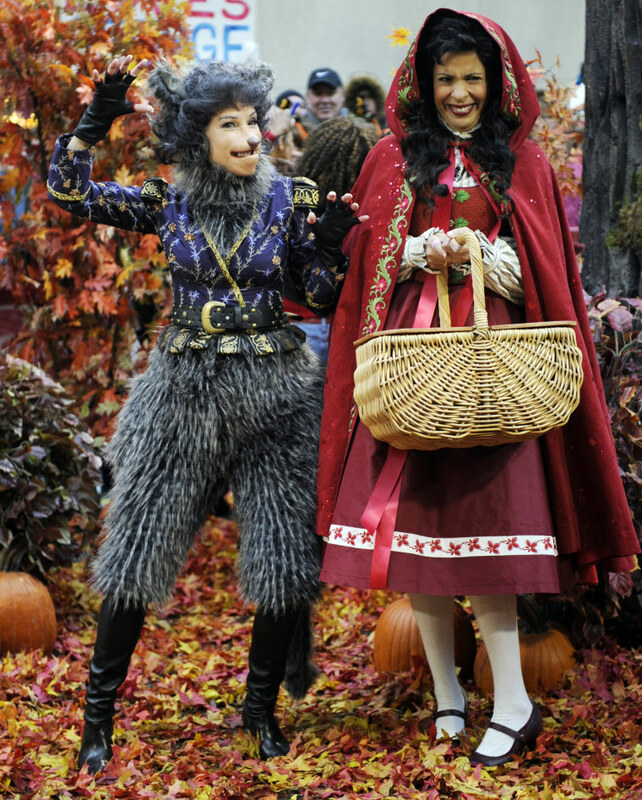 Kathie Lee Gifford and Hoda Kotb as The Big Bad Wolf and Little Red Riding Hood. Correspondent Jill Rappaport and Host Al Roker share a funny moment. 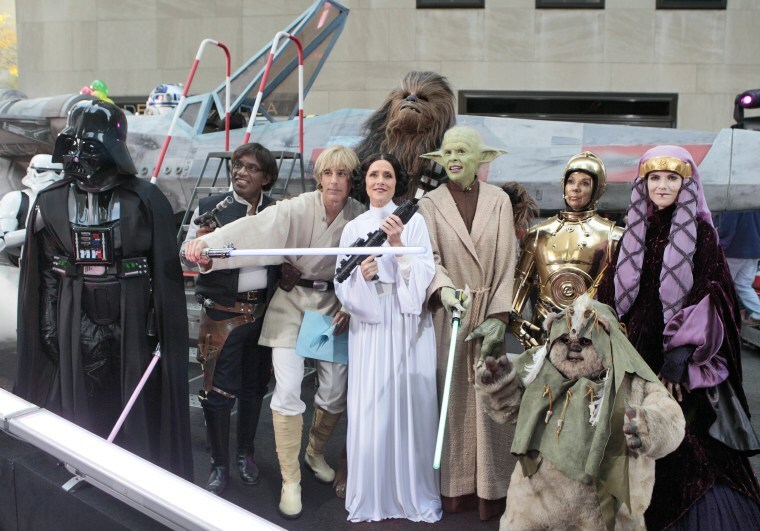 The Force was with the TODAY show in 2009. The hosts clearly enjoyed their once-in-a-lifetime opportunity to raid George Lucas’ treasure chest and become “Star Wars” characters. 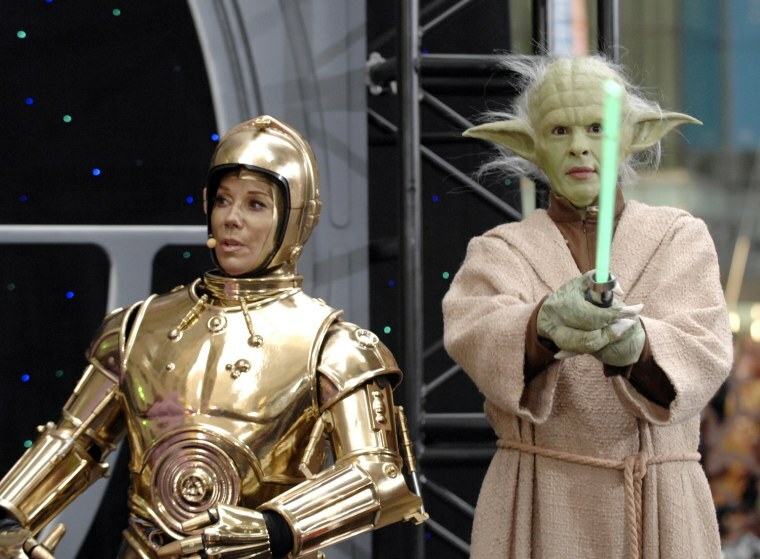 Ann Curry as Darth Vader; Al Roker as Han Solo; Matt Lauer as Luke Skywalker; Meredith Vieira as Princess Leia; Hoda Kotb as Yoda; Kathie Lee Gifford as C3PO; and Natalie Morales as Queen Padme Amidala. In 2010, TODAY took a break from the news business to throw a pop culture party. Fans and a chilly Rockefeller Plaza crowd alike got a chance to go Gaga, catch Bieber Fever, and gawk at two high-flying legends. 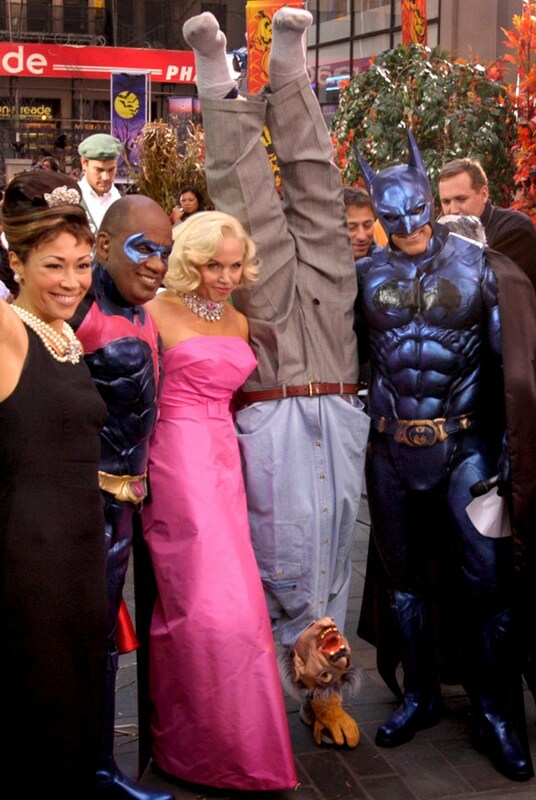 From left, Superman (Al Roker), Justin Bieber (Natalie Morales), Roxanne Ritchi (Tina Fey), Megamind (Will Ferrell), Amelia Earhart (Ann Curry), and Lady Gaga (Meredith Vieira). 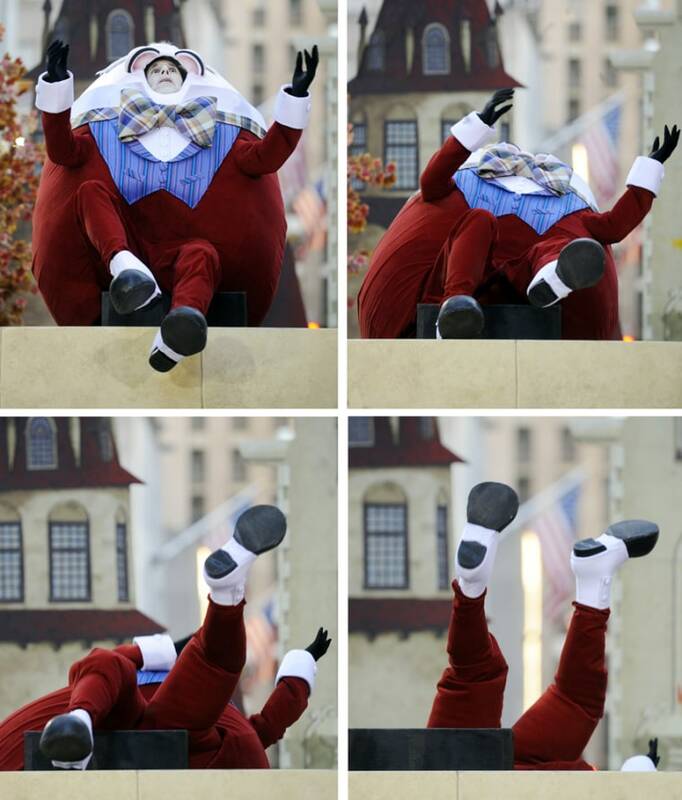 TODAY's Al Roker, Natalie Morales and Tamron Hall (President Obama) celebrate Halloween on the Plaza. Kathie Lee and Hoda re-enact a famous scene from "I Love Lucy." Traditional Halloween orange turned a royal hue on the Plaza in 2011 when the TODAY crew recreated the pomp of Will and Kate's royal wedding. 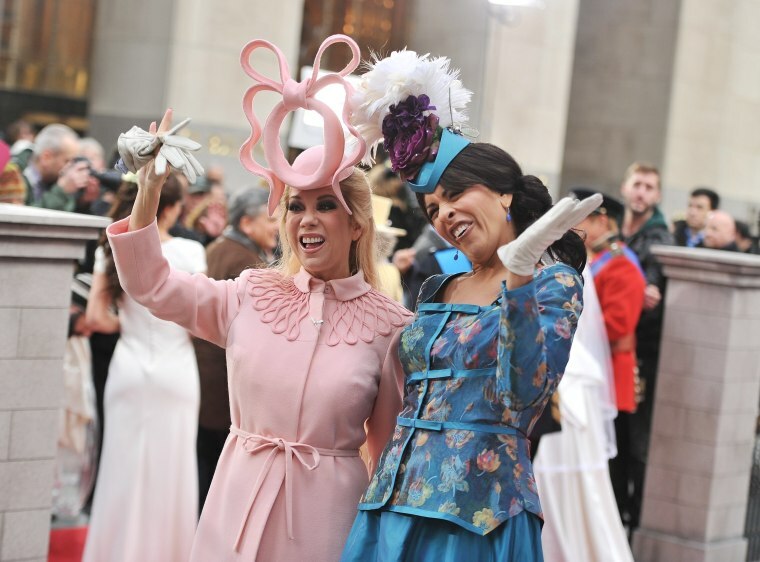 Matt Lauer and Ann Curry as the regal bride and groom, Al Roker as royal brother Prince Harry, former host Meredith Vieira as Queen Elizabeth, Natalie Morales as Kate’s vivacious sister Pippa, and Kathie Lee Gifford and Hoda Kotb as Beatrice and Eugenie, royal daughters of Prince Andrew and Fergie. 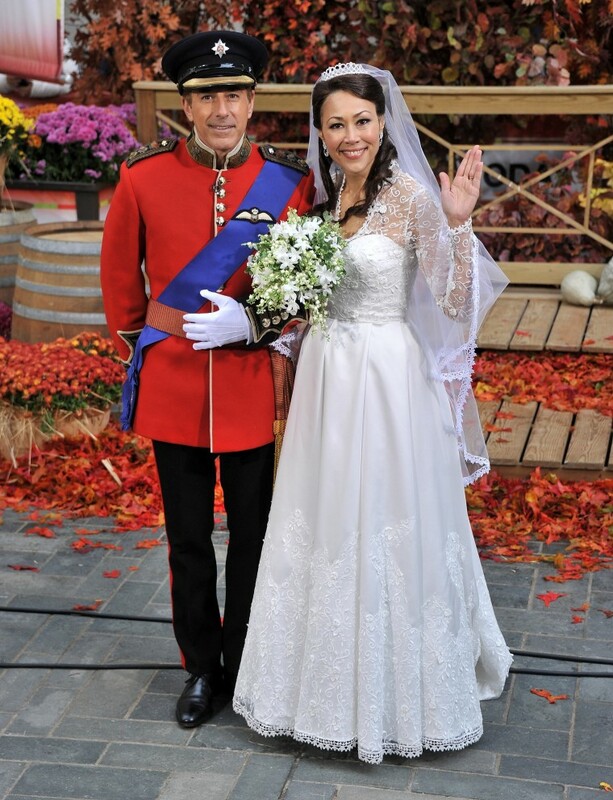 Matt Lauer and Ann Curry as the royal bride and groom. "The royal wave is like this?” Curry said in rehearsals. “I don’t know how to do it, so I’m going to go, 'Hey guys!'" Kathie Lee Gifford and Hoda Kotb dressed up as Beatrice and Eugenie, royal daughters of Prince Andrew and Fergie. TODAY anchors took a trip into the past and dressed up as characters from TV shows of yesteryear. Guest star Carmen Electra with TODAY's Willie Geist pay homage to the hit '90s show "Baywatch." 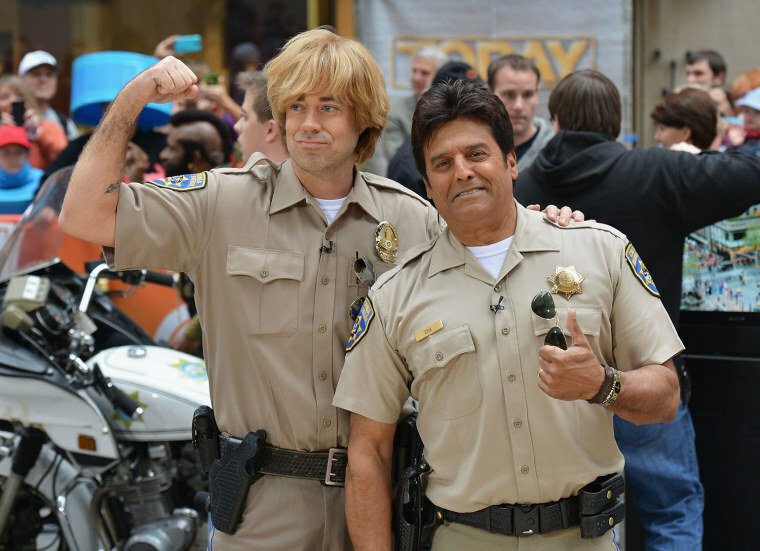 TODAY's Carson Daly, left, and guest star Erik Estrada appeared as highway cops from "CHiPs." Look at those cute roommates on their way to work at Shotz Brewery! TODAY's Savannah Guthrie and Natalie Morales made dreams come true as Laverne and Shirley. Live, from New York ... it's "Saturday Night TODAY!" Pictured: (l-r) Peter Alexander, Natalie Morales, Willie Geist, Lester Holt, Al Roker, Julia Sweeney, Matt Lauer, Savannah Guthrie, Jenna Bush Hager, Meredith Vieira, Hoda Kotb and Kathie Lee Gifford. See their reveals here. Kathie Lee Gifford and Hoda Kotb as Wayne and Garth of "Wayne's World" fame. It was terrible...NOT. See it here. Matt Lauer played the androgynous Pat, complete with his/her nasal voice. See it here. Willie Geist and Tamron Hall showed school spirit as the Spartan cheerleaders. See their awesome skit here. Savannah Guthrie, Jenna Bush Hager and Meredith Vieira gave scary a whole new meaning with a re-creation of the "Mom Jeans" digital short. 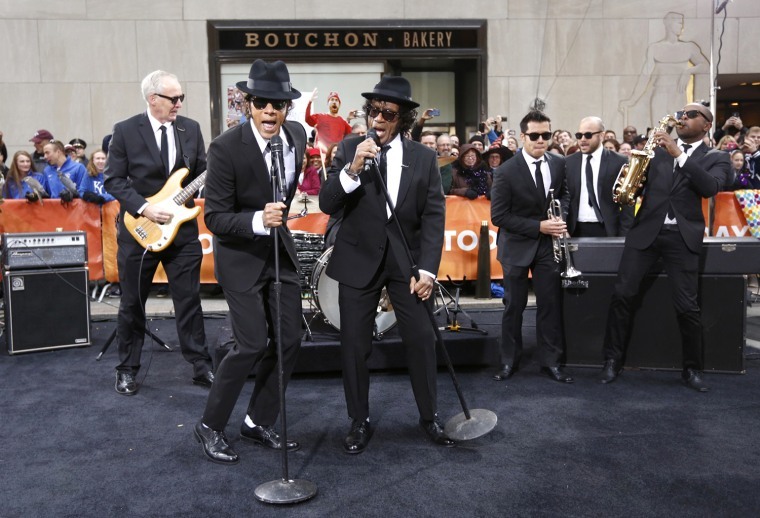 Lester Holt and Al Roker gave a mini-concert as The Blues Brothers. See their rendition here. 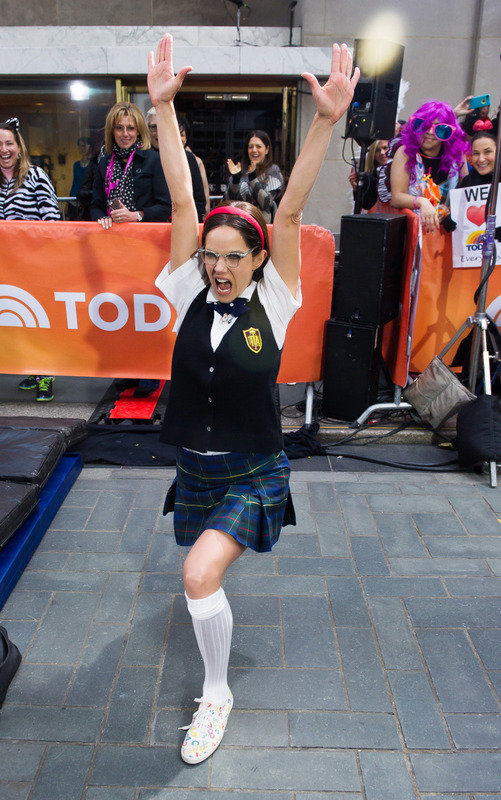 Natalie Morales played dramatic Catholic schoolgirl Mary Katherine Gallagher, with Molly Shannon's blessing. Watch her hysterical performance here. TODAY anchors went nuts in 2015 when they took on the characters from "Peanuts." Pictured (l-r): Meredith Vieira, Willie Geist, Carson Daly, Natalie Morales, Tamron Hall, Al Roker, Savannah Guthrie, Matt Lauer, Hoda Kotb and Kathie Lee Gifford. See their reveal here. Linus (Carson Daly), Marcie (Natalie Morales), Peppermint Patty (Tamron Hall), Charlie Brown (Al Roker), Sally (Savannah Guthrie), Lucy (Matt Lauer), and Snoopy (Hoda Kotb). Just like in the comic strip, Matt Lauer's Lucy had a big crush on Willie Geist's Schroeder. Matt as Lucy and Al as Charlie Brown. See how they pulled off the amazing transformation here. Hoda and Kathie Lee in their "Peanuts" getups. Regis Philbin joined as Snoopy's WWI Flying Ace. Check out some of their antics here. Savannah Guthrie as Charlie Brown's little sister, Sally, and Matt Lauer as Lucy. 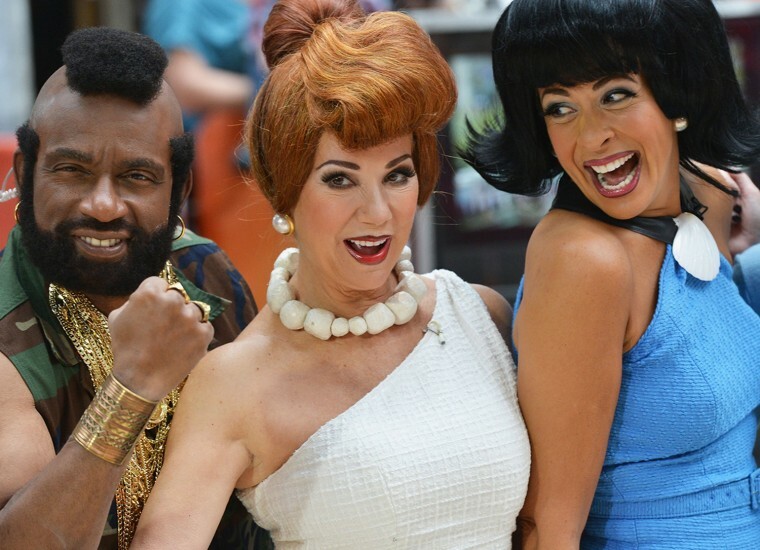 The TODAY team dressed up as some of the decade's most iconic figures for Halloween 2016. From left to right: Pregnant Demi Moore on the front of "Vanity Fair" (Savannah Guthrie), Mia Wallace and Vincent Vega from "Pulp Fiction, " (amron Hall and Willie Geist), Steve Urkel (Al Roker), "Regis and Kathie Lee," (Kathie Lee Gifford (Regis) and Hoda Kotb (KLG). The terminator (Carson Daly), and Jerry Seinfeld (Matt Lauer). See more here.